I'll try to catch up news about Emi. Emi and Terra Formars casts at Ameba Special. April 29. Emi and Yamada Takayuki at Terra Formars promotion. What would you like to do in your 20′s? Kawakita: I want to get married in my 20′s. It is my wish. What are the the things you want to achieve in terms of your work? 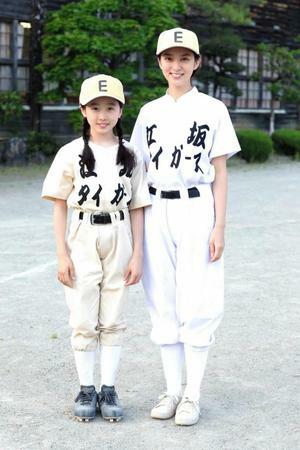 Emi: I think I already have a wide range of experience since I can play roles who differ in age. I always be like myself if I could since there’s no such thing as I want to be this kind of actress. What are the things you want to achive in terms of your private life? Gouriki: To earn a driving license. Emi: I already earned that when I was 18. I certainly did! It should happen! I absolutely took it! Kawakita: That’s good. I want it! Gouriki: I like cars so much. But, I have a dream of riding Japanese trains in 1 lap. Even without deciding which to go to and to wonder which train station to get off, I’d like to try the “Seishun 18 Kippu” travel. The theme for this year’s Ms. Utsukushi 20′s is “beauty”. Do you have a beautiful female image in mind? Emi: Healthy people! You feel responsible [for your health] when you’re already in your 20′s unlike in your teens. The no. of concerned people for their health is increasing. A meal or exercise; I think people who are also conscious with what’s in the inside not just the outside appearance matters. Miyoshi Kairi - Vice-president of the company where Kurihara Mia works at and the person who Kurihara Mia fell in love with. Miyazawa Aya - A shrewd salesman in a rival company. Masaki Akari - Kurihara Mia’s friend. They share a room together. She’s also working at a publishing company. Miyama Chiaki - A model who is free-spirited and is willing to monopolize when it comes to love. Yamashita Yota - Kurihara Mia’s ex-boyfriend. Kurihara Mia (Emi) works in the public relations department of a company. She falls in love with Miyoshi Kairi (Takizawa Hideaki). He is the vice president of the company, but he is also married. Takei Emi and Yamada Takayuki appear for a commercial for Dragon Quest’s 30th anniversary as well as Dragon Quest Heroes 2. 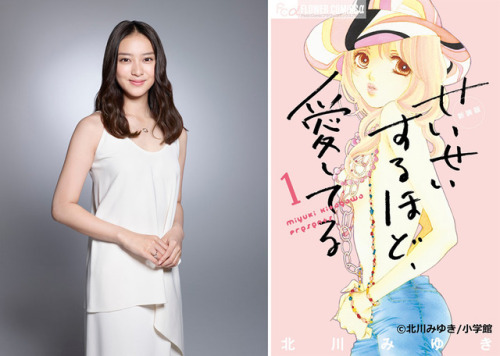 Emi Takei cast in TV Asahi drama SP "Setouchi Shonen Yakyu dan"